It may be run by Chinese chefs but it serves great tasting Japanese bento sets at superb value. What I really like about the place is its tasty food and generous portions. There are just too many Japanese restaurants that stinge on the servings. Not this place. Its rather innovative too – one of my must-haves at Akashi is the reverse roll. 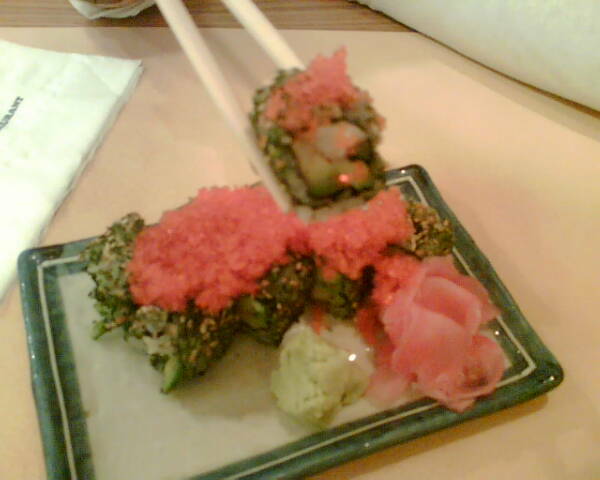 A version of the California roll, but done inside out: with the seaweed on the inside, a sesame coating and loads of roe toppings. The ebi misoyaki is also good here – king prawns slathered in a rich miso sauce and grilled. Delicious. When you are feeling a tad more adventurous, have them cook up the daily specials. This is usually outside of the menu and features some of the freshest ingredients.